Make your home feel more alluring and glamorous with this stunning Silver Glitter Mask on Black. 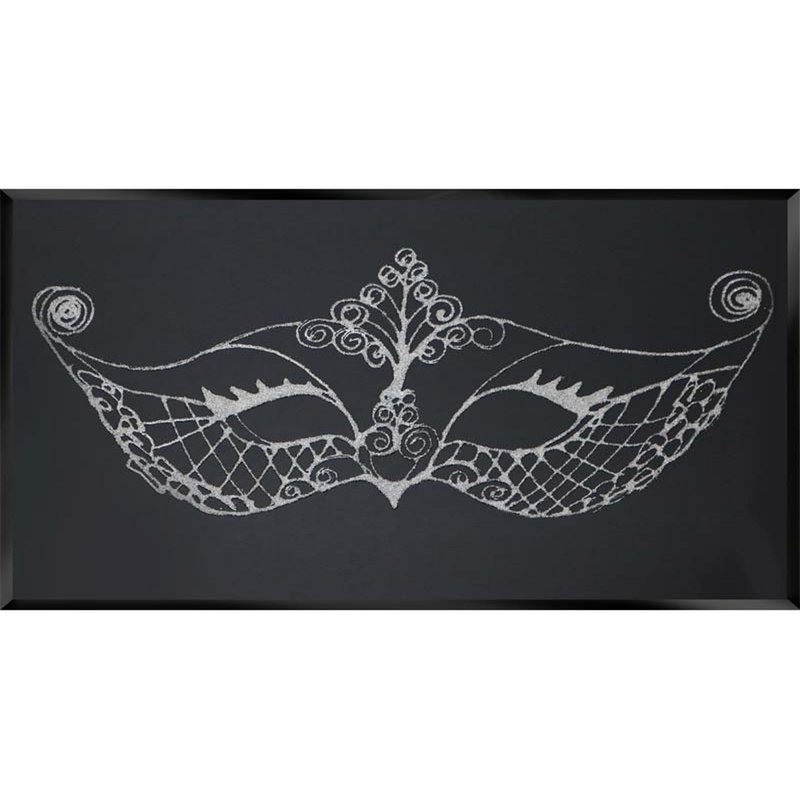 The perfect enchanting piece for any room, featuring a glitter silver masquerade mask on a black background. Being quite a unique piece you will definitely impress with this design on your walls. Also available to custom size, as well as your choice of our three set sizes.